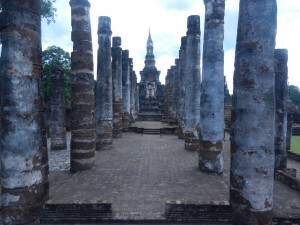 Thailand’s artistic heritage in Sukhothai enchanted me the first time I went there, in 2007. It impressed me as much as Angkor Wat, which I saw for the first time 2 weeks before–but for different reasons. Sukhothai’s art forms were so graceful that they seemed like flying in a golden dream–a much more appropriate color than the blue in the guitarist Joe Satriani’s song. So I went back for a fuller immersion late last year, and it will grace this series of posts. I wrote a few posts about Sukhothai shortly after I started this blog, but I had no plans to publish anything about Thailand when I traveled there in 2007, so I only had a 35mm camera. 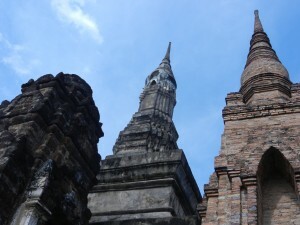 But you can read an earlier post for more background information about Sukhothai and come back here, or you can first enjoy more immersion in this series. Thais call the most important wat in a town Mahathat. It means great relic. Sukhothai’s Wat Mahathat was the kingdom’s ritual center. It soars in the first picture, and its graceful forms integrated the world of the above gentleman’s ancestors. A line of assembly halls approached the shrine from the east. The one on the far right was probably built after the kingdom of Ayutthaya made Sukhothai into a vassal in 1378. Its floor is on a brick platform that’s several feet high. Ayutthaya often went for more grandeur than Sukhothai did , and maybe the new rulers wanted to give a message that they were in charge. The above shot’s of the old assembly hall from the newer one’s raised floor. 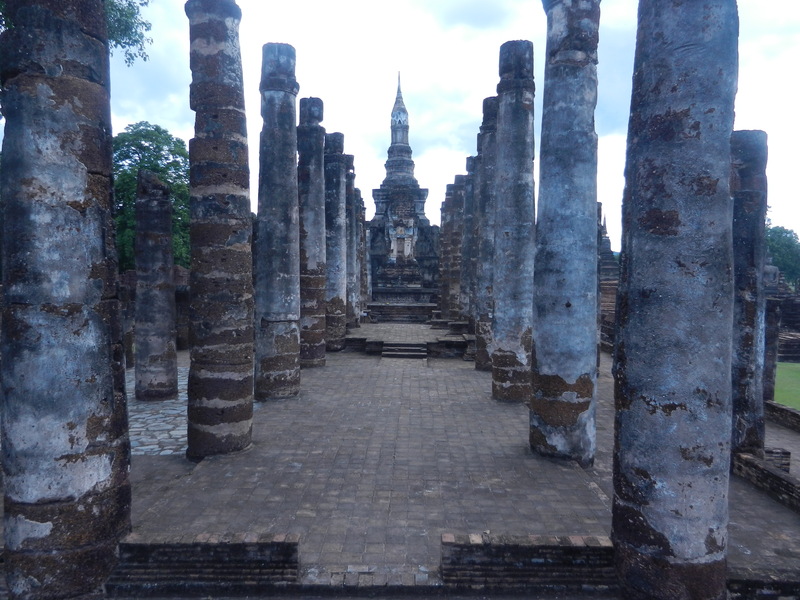 Pilgrims, monks and local folks gathered between these stately columns when they visited Wat Mahathat. 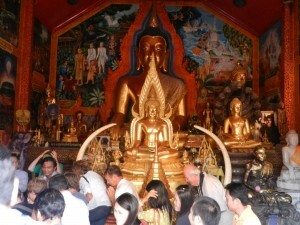 They joined in a community which embodied the Buddha’s compassion, as they do today in Chiang Mai’s Doi Suthep (above). 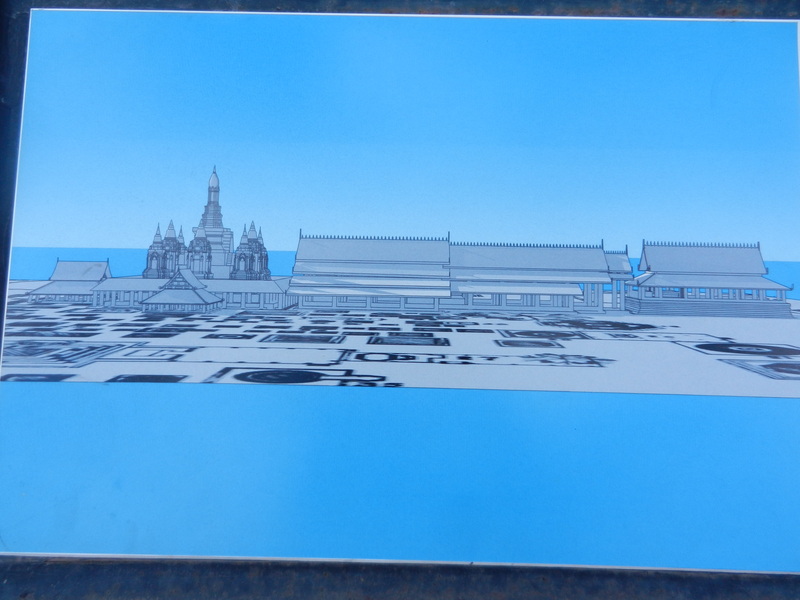 People who went to Angkor Wat gawked at its otherworldly size. 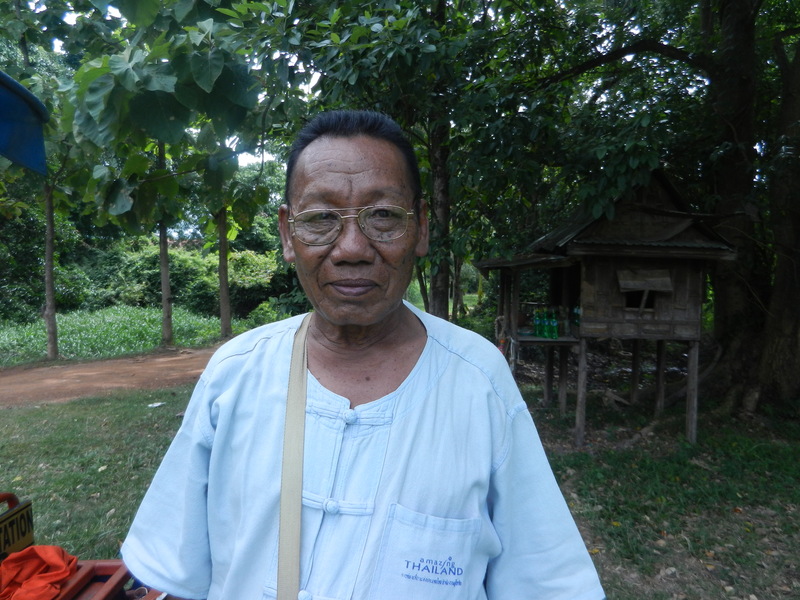 But folks in Sukhothai experienced a more human scale when they came to the kingdom’s central source of meaning. Wat Mahathat’s innermost pavilion (at the far end of the old assembly hall) housed the above statue. 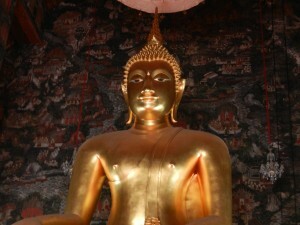 It was the largest cast bronze image of the Buddha in Thailand–Phra Sri Sakaya Muni. The first king of today’s Chakri Dynasty, Rama I, took it down to his new capital, Bangkok, and installed it at Wat Suthat when he reigned between 1782 and 1809. 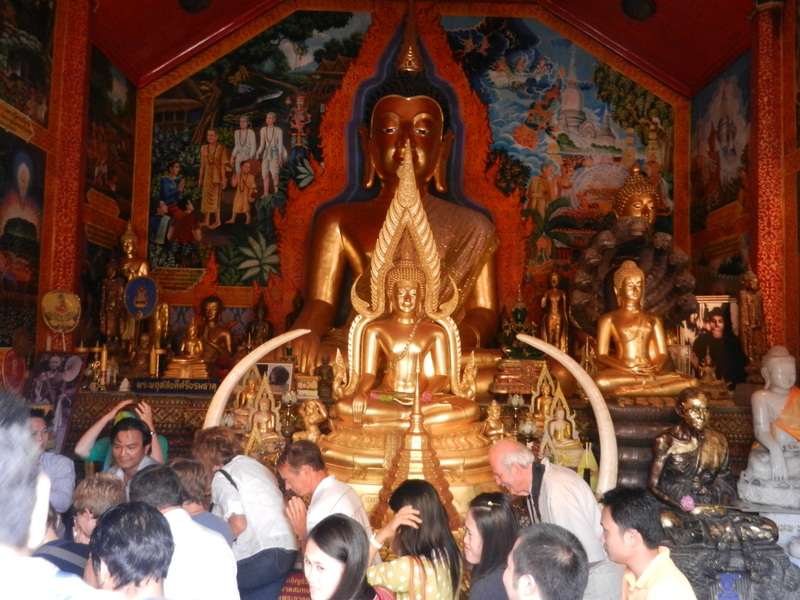 A procession through Wat Mahathat’s assembly halls climaxed at this 14th century statue. It’s regal enough to embody the power of Thai kings shortly after they liberated themselves from the Khmers. And its forms are soft and flowing enough to represent compassionate rule–a blend which Thais honor their current king for today. 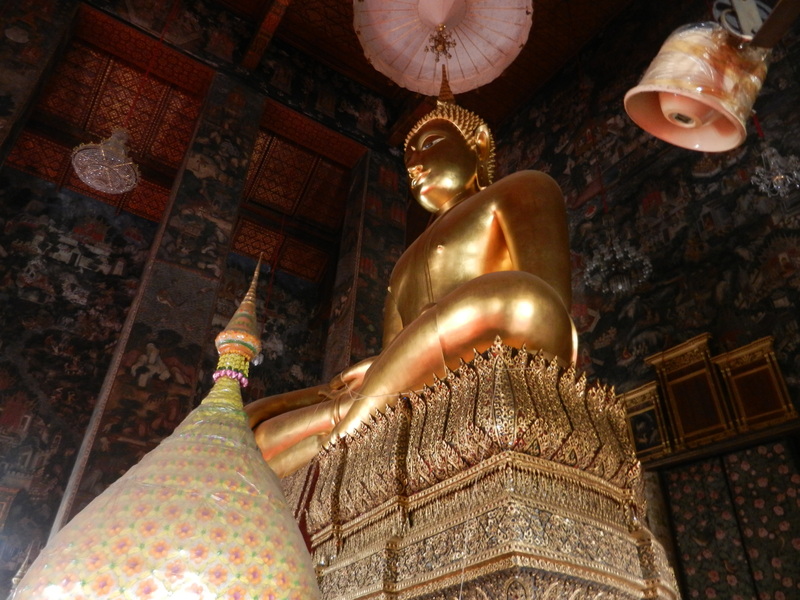 But this post is only a prelude to Wat Mahathat. 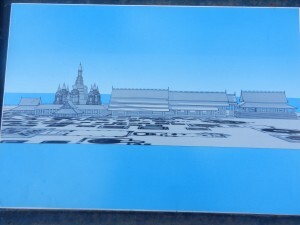 I first wanted to approach it as people did then so we can be immersed in Sukhothai as it was when it was new. But we’ll begin to see the real magic in the next post on Sukhothai. This line of meeting halls and their art works suggest that people’s experiences of Sukhothai’s center started in a community that mixed beauty and interpersonal harmony–a nice way to begin a dream.